Each order includes 2-3 skewers, served w/ pickled carrots. Fresh shiitake mushroom marinated in lemongrass, onion, garlic, & seasoning served w/ mixed herb soy sauce. Local fresh tofu marinated in lemongrass, onion, garlic, & seasoning served w/ mixed herb soy sauce. Fresh okra marinated in lemongrass, onion, garlic, & seasoning served w/ tamarind sauce. Fresh Asian eggplant marinated in lemongrass, onion, garlic, & seasoning served w/ mixed herb fish sauce. Shelled Pacific prawns marinated w/ onion, garlic, & seasoning served w/ tamarind fish sauce. Ground beef marinated w/ lemongrass, onion, garlic, & seasoning served w/ peanut sauce. 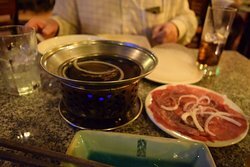 Pork slices marinated w/ onion, garlic, & seasoning in Da Nang style served w/ Da Nang sauce. Ground pork‏ marinated w/ onion, garlic, & seasoning in Sai Gon style served w/ peanut sauce. Chicken filet marinated in lemongrass, la lot leaves, onion, garlic, & seasoning served w/ mixed herb fish sauce. Salad roll w/ fresh herbs & fried tofu served w/ vegetarian soy sauce. Salad roll w/ fresh herbs, fried tofu, roasted peanut, fresh coconut, jicama, & carrots served w/ vegetarian soy sauce. 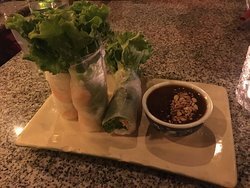 Salad roll w/ fresh herbs & rice noodles, served w/ peanut sauce. Choice of steamed prawns, or pork slices, or both. 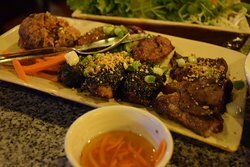 Salad roll w/ fresh herbs & skewered grilled pork slices served w/ peanut sauce. Salad roll w/ fresh herbs & grilled pork meatball served w/ peanut sauce. 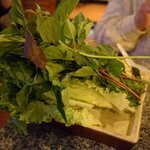 Salad roll‏ w/ fresh herbs & skewered grilled chicken served w/ peanut sauce. 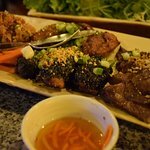 Salad roll‏ w/ fresh herbs & ground beef marinated w/ lemongrass served w/ peanut sauce. Fresh steamed rice paper sandwiched between white sesame rice crackers served w/ fresh pineapple anchovy sauce. Crispy white rice cake topped w/ green onion. Choose between grilled pork slices served w/ mixed herb fish sauce or Lemongrass tofu served w/ vegetarian soy sauce. Pickled fresh lotus root, jicama, carrot, roasted peanuts & fresh herbs served w/ tamarind sauce. Choice of grilled prawns, grilled chicken, or grilled lemongrass tofu. Fresh pineapple, lightly pickled jicama, carrot, fresh herbs, & roasted peanuts served w/ tamarind sauce. Choice of grilled prawns, grilled chicken or grilled lemongrass tofu. Freshly pickled bon bon, jicama, carrot, roasted peanuts, & fresh herbs served w/ tamarind sauce. Choice of grilled prawns, grilled chicken, or grilled lemongrass tofu. Julienned green mango, freshly pickled jicama carrot, roasted peanuts, & fresh herbs served w/ tamarind sauce. Choice of grilled prawns, grilled chicken, or grilled lemongrass tofu. Shredded green papaya, steamed prawns, freshly pickled jicama, carrot, roasted peanuts, & fresh herbs served w/ soy sauce. Shredded cabbage, carrot, & fresh herbs, pickled onion, roasted peanuts topped w/ skinless/boneless duck in house dressing served w/ ginger sauce. Shredded cabage, carrot, & fresh herbs, pickled onion, roasted peanuts topped w/ skinless/boneless chicken in house dressing served w/ ginger sauce. Shredded cabbage, carrot, & fresh herbs, pickled onion, roasted peanuts topped w/ steamed beef slices in house dressing served w/ fresh herb fish sauce. Pan fried Pacific scallops, freshly pickled lemongrass, sweet onion, & fresh herbs topped w/ roasted peanuts, browned onion in house dressing. Popular dish from our "Saigon Noel" wine pairing -2006. 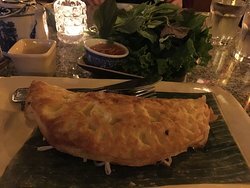 Perfect for two includes all seven courses, green vegetables, herbs, pickles, rice noodles, rice paper, roasted peanuts, & anchovy sauce. Shredded cabbage, carrot, & green herbs w/ house dressing. Thin slices of beef & vinegar broth. Grilled marinated beef slices rolled w/ Vietnamese bacon. Grilled marinated ground beef wrapped in la-lot leaves. Grilled marinated ground beef wrapped in a thin sheet of fat. Steamed ground beef marinated w/ spices, egg, & vegetables. Rice soup made w/ ground beef broth topped w/ cilantro, green onions, & pepper. Steamed coconut rice cake topped w/ minced daikon, jicama, carrot, & onion served w/ house soy sauce. Steamed coconut rice cake topped w/ minced prawns, daikon, jicama, & onion served w/ mixed herb fish sauce. Freshly steamed rice paper wrapped w/ julienned daikon, carrot, jicama, taro root, onion, & garlic served w/ mixed herb fish sauce or house soy sauce. Freshly steamed rice paper wrapped w/ shelled prawns, julienned daikon, carrot, jicama, taro root, onion, & garlic served w/ mixed herb fish sauce. Deep fried sweet potato & shrimp served w/ lettuce, green herbs, & mixed herb fish sauce. Steamed rice batter topped w/ shrimp bits & green onions served w/ mixed herb fish sauce. Steamed rice‏ cake cubes pan fried w/ green onion & egg served w/ pickled green papaya, carrot, & cu kieu w/ house soy sauce. Steamed baguette‏ topped w/ sauteed jicama, ground beef, & roasted peanuts served w/ lettuce, green herbs, & mixed herb fish sauce. Rice cake topped w/ shrimp served w/ lettuce, green herbs, & mixed herb fish sauce. Grilled marinated pork slices & broken white sesame rice crackers sandwiched between fresh steamed rice paper served w/ fresh pineapple anchovy sauce. Handmade freshly steamed rice paper served w/ steamed bean sprouts, fresh basil, & mixed herb fish sauce. Marinated ground pork, onion, & mushroom filling w/ Vietnamese pork roll slices. Fried tofu served w/ vegetarian soy sauce. Grilled pork & Vietnamese steamed rice paper roll. 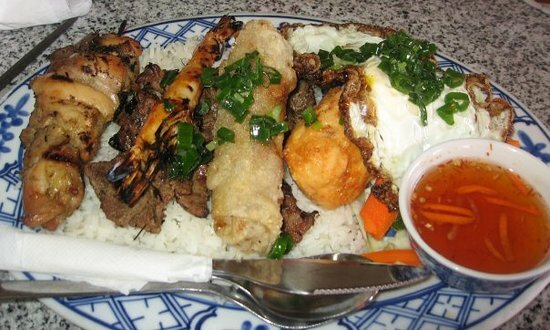 Co Ngu crispy shrimp, grilled pork & Vietnamese pork roll slices. Marinated ground pork, onion, & mushroom filling, Co Ngu crispy shrimp, grilled pork, & Vietnamese pork roll slices. Marinated shiitake mushroom, carrot, onion, & tofu filling, Vietnamese vegetarian roll slices served w/ vegetarian soy sauce. Marinated shiitake mushroom, carrot, onion, & tofu filling, Co Ngu crispy tofu, Vietnamese vegetarian roll slices served w/ vegetarian soy sauce. Steamed rice w/ deep fried lemongrass chicken (skin & bone intact). French bread or steamed rice w/ curry chicken, potatoes served w/ fresh lime, pepper & salt. French bread or steamed rice w/ beef stew served w/ fresh lime, pepper & salt. Steamed rice w/ grilled pork chop served w/ mixed herbs fish sauce. Steamed broken rice w/ pork chop, egg pie, shredded pork, & pork rind served w/ mixed herbs fish sauce. Steamed rice w/ grilled lemongrass tofu served w/ house soy sauce. Steamed rice‏ w/ stir fried lemongrass tofu w/ chili & white onion. Steamed rice w/ stir fried lemongrass chicken w/ chili & white onion. 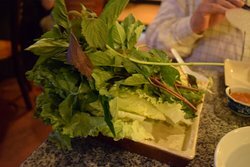 Steamed rice w/ grilled lemongrass chicken (boneless & skinless) wrapped in la-lot leaves. Steamed rice w/ grilled beef short ribs served w/ mixed herbs fish sauce. Grilled eggplant topped w/ green onions & roasted peanuts served w/ mixed herb fish sauce, fishless sauce available upon request. Tofu stir fried w/ fresh lemongrass, freshly chopped pepper, white onion, & served w/ house soy sauce. Seasonal, fresh kohlrabi stir fried w/ fresh dill, tomato, & garlic. 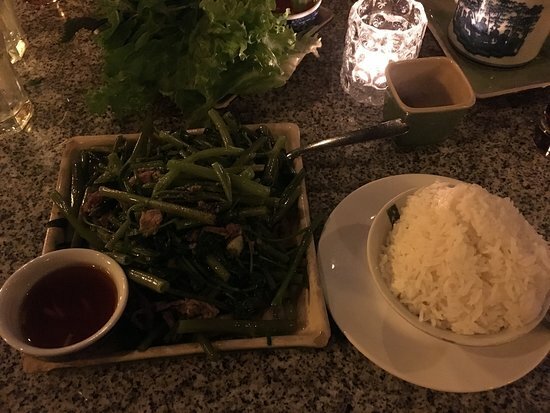 Green beans stir fried w/ garlic. Green beans stir fried w/ tofu & garlic. Seasonal, vietnamese water spinach stir fried w/ garlic. Bean sprout stir fried w/ shiitake mushrooms, oyster mushrooms, white onion, & garlic. Fresh kohlrabi stir fried w/ Pacific prawns & garlic served w/ mixed herb fish sauce. Chayote greens stir fried w/ prawns, carrot & garlic. Catfish filet braised w/ fresh coconut juice. Grilled squid stuffed w/ marinated ground pork, black mushroom, onion, & clear vermicelli noodles. Pan fried Pacific tuna filet w/ fresh tomato garlic sauce topped w/ fresh Asian basil. Shelled prawns,‏ coconut milk, potato, & sweet potato in curry broth served w/ fresh lime & chilli salt. Tumeric seasoned catfish filet w/ rice cracker, roasted peanut, fresh vegetable, & herbs served w/ shrimp paste sauce. Steamed salted fish, ground pork, salted egg served w/ fresh herbs & cucumber slices. Steamed halibut in whole soybean sauce, fresh shiitake mushroom, fresh oyster mushroom, straw mushroom, black mushroom, dried lily blossoms, green onion, & clear vermicelli noodles. Skinless chicken braised overnight in vodka infused ginger. Curry chicken braised w/ potato served w/ fresh lime & chili salt. Chicken slices stir fried w/ fresh lemongrass, freshly chopped chili peppers, white onion, fresh lemon leaves, & green onion. Pork & boiled egg braised w/ fresh coconut juice served w/ pickled cabbage & carrot. Fried shrimp paste w/ lemongrass & Vietnamese bacon bits served w/ fresh herbs & cucumber slices. Fried tofu stuffed w/ marinated ground pork & black mushroom in fresh garlic tomato sauce. Beef stew & carrots served w/ fresh lime, pepper, & salt. Grilled beef short ribs served w/ mixed herbs fish sauce. Beef slices stir fried w/ fresh lemongrass, freshly chopped chili peppers, white onion, & green onion. 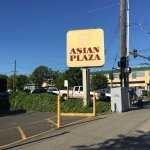 La nourriture était très fraîche, la fin parfaite pour ma visite à Seattle. 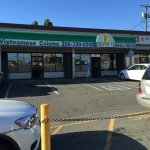 Séjourner à l'American Hotel Hostel, situé à proximité, était l'occasion idéale de visiter "Little Saigon" et l'arbre Tamarind. 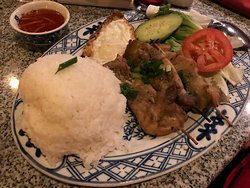 C'est de la nourriture vietnamienne authentique servie fraîche et rapide. 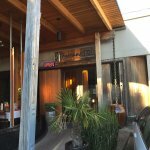 Tamarind Tree devrait être au sommet de votre liste de restaurants à Seattle. La qualité de la nourriture est très bonne. Le service est bon mais les prix sont extrêmement raisonnables. 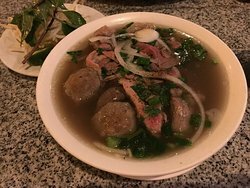 J'ai eu les nouilles Pho avec du poulet lors de ma récente visite. 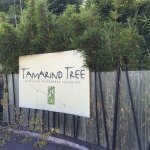 Obtenez des réponses rapides du personnel et personnes ayant visité le Tamarind Tree.